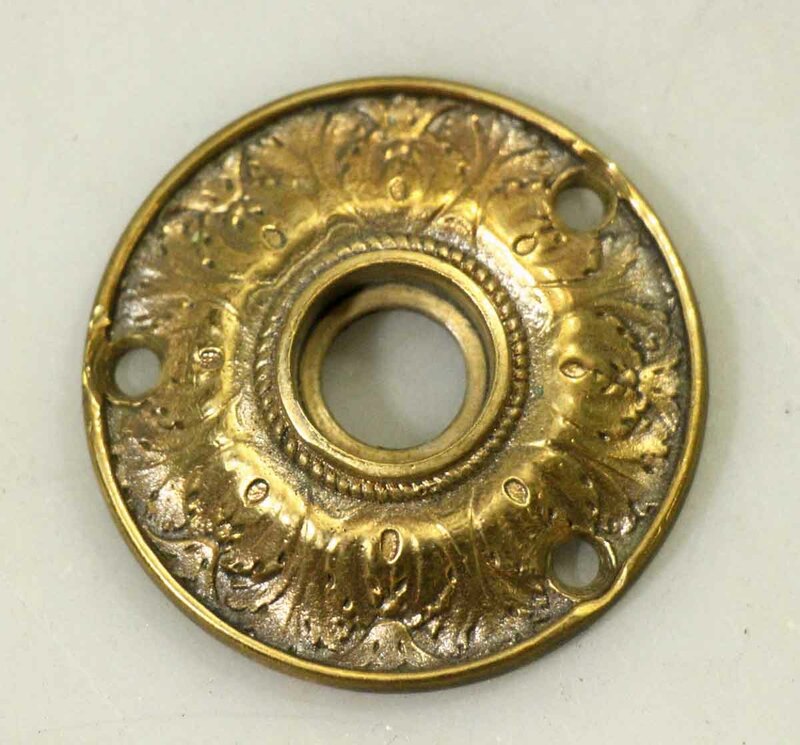 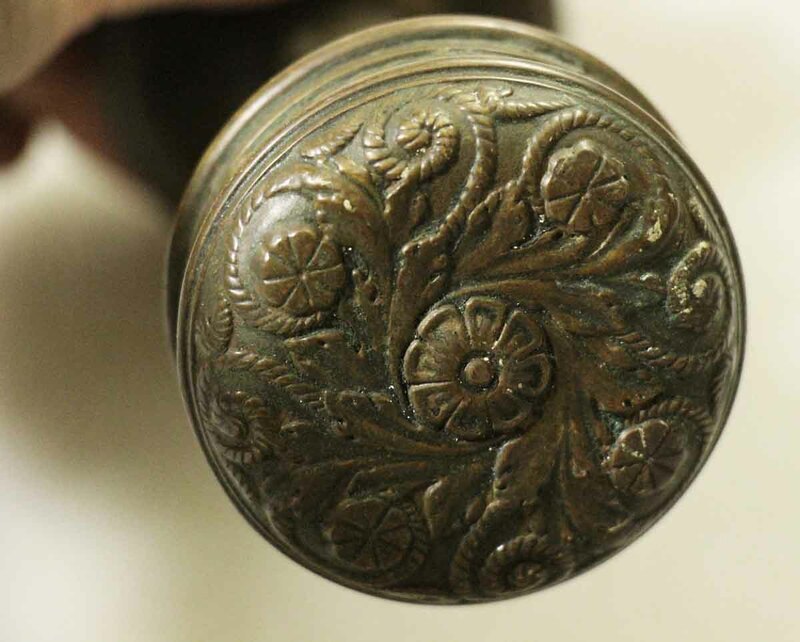 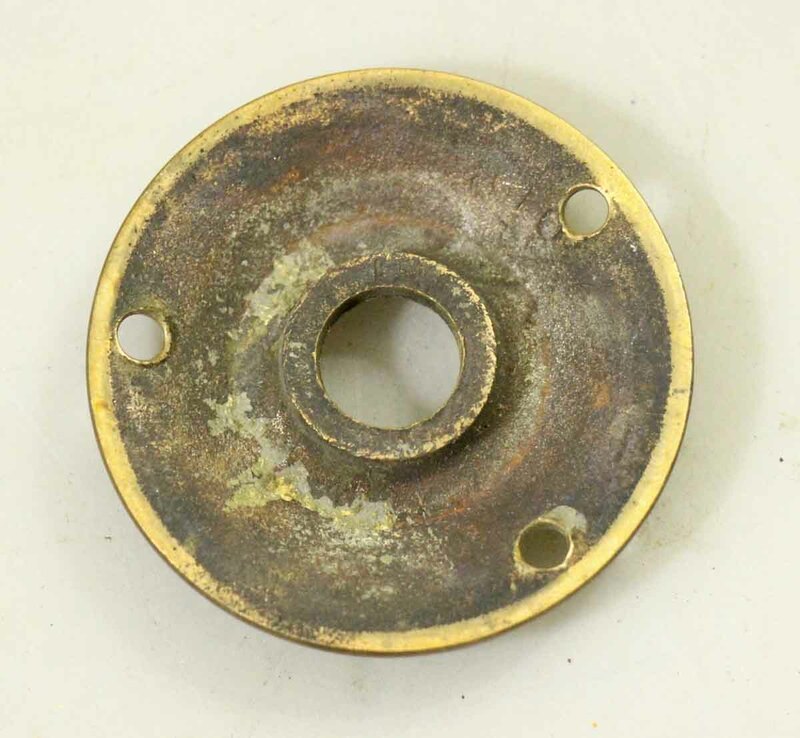 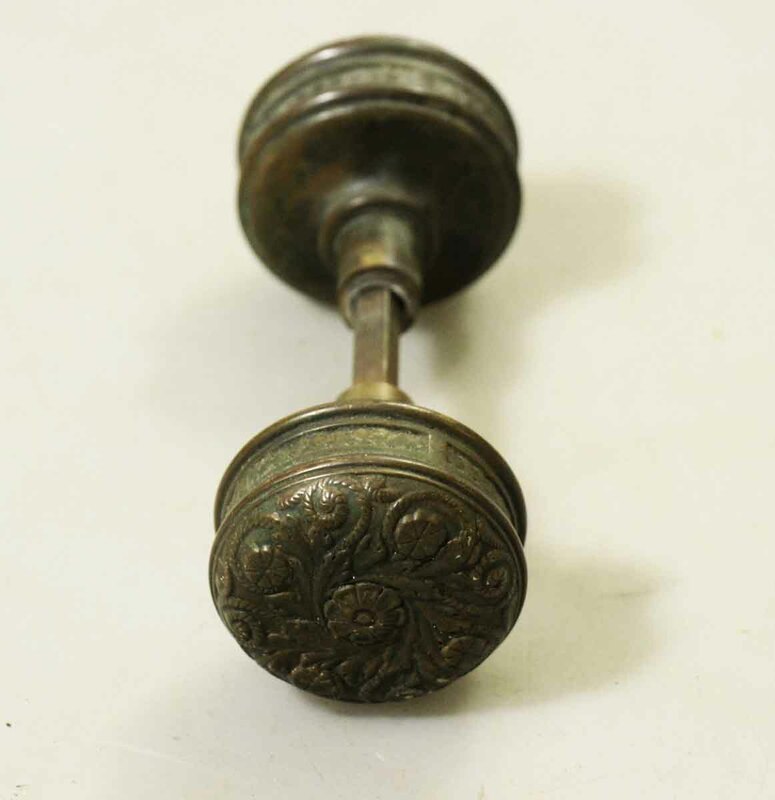 This antique 4 fold knob was made by Norwalk in 1886 catalog. 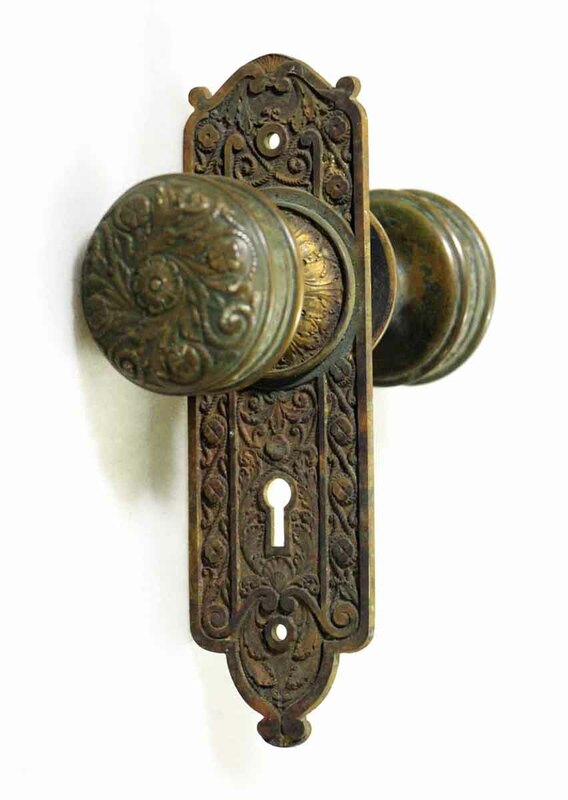 Vernacular style. 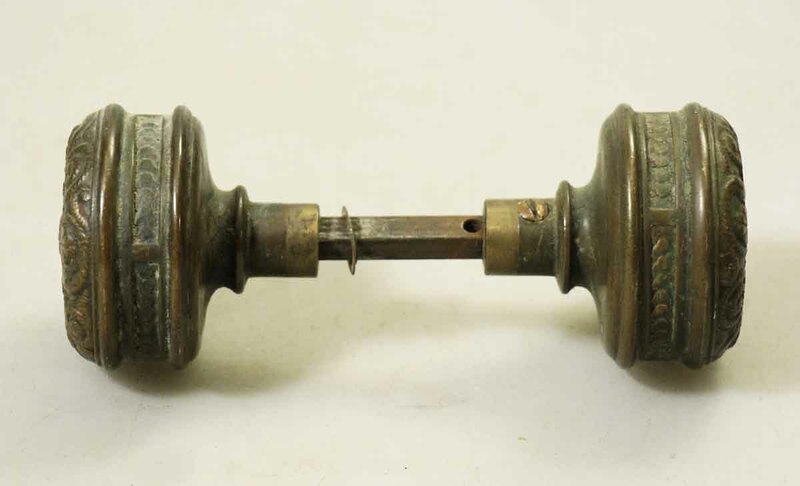 Part of the H-25600 group. 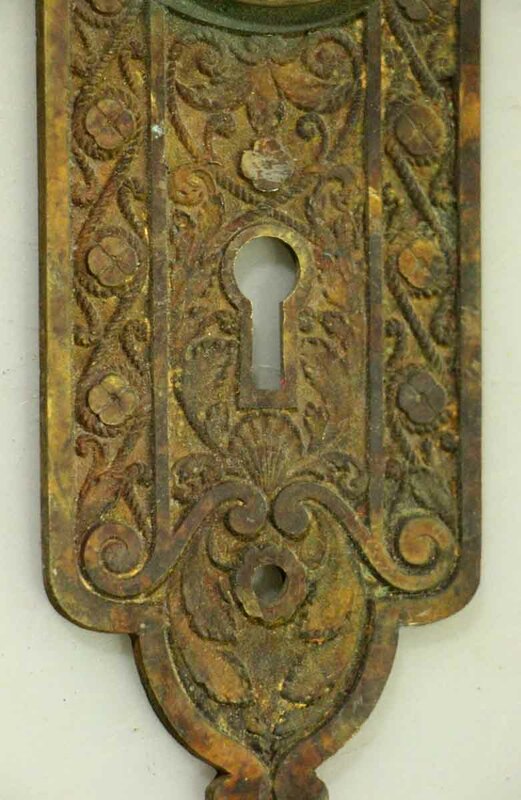 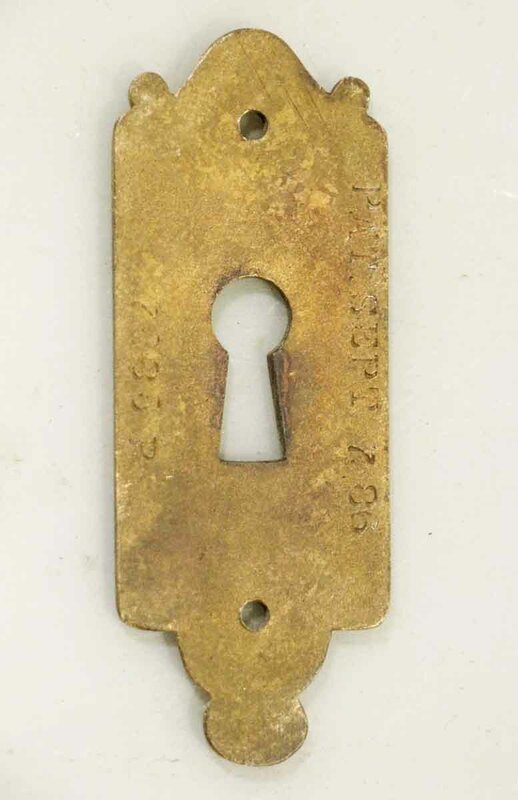 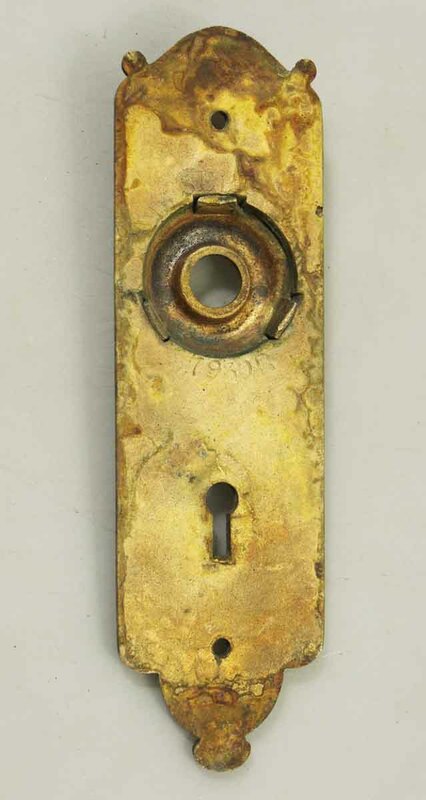 The key hole cover was patented on September 7, 1896. 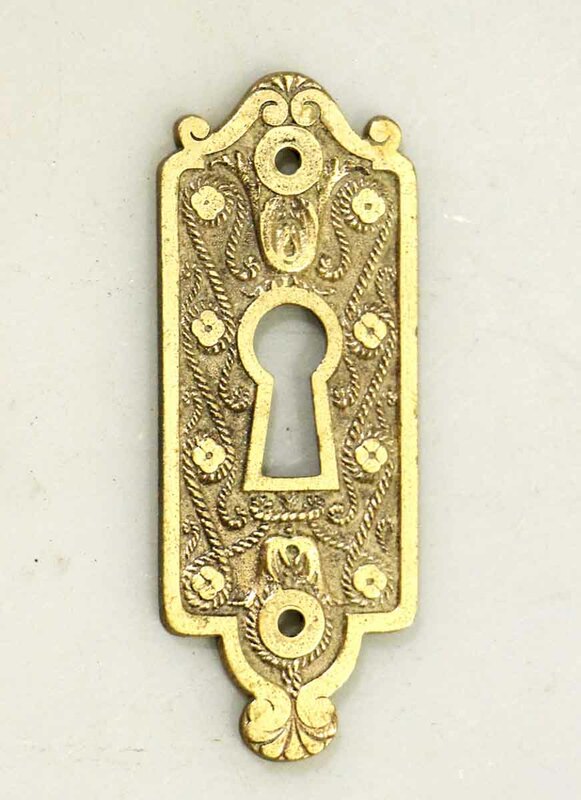 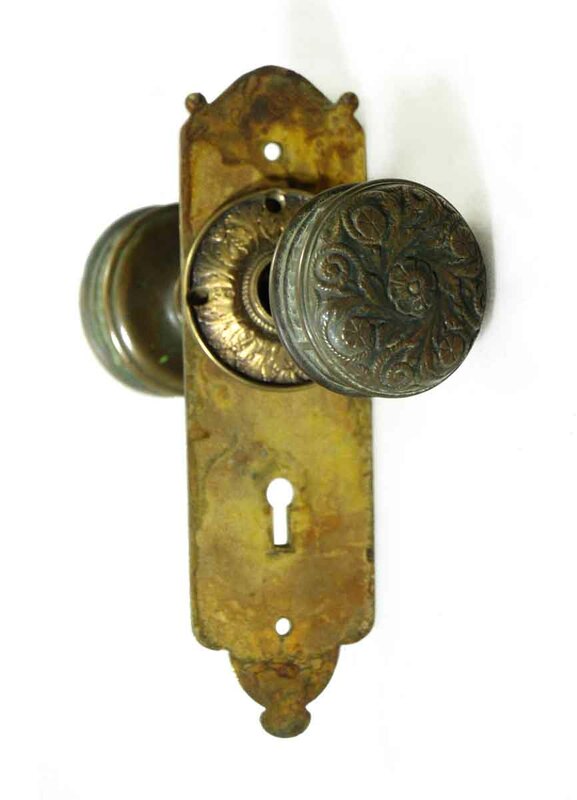 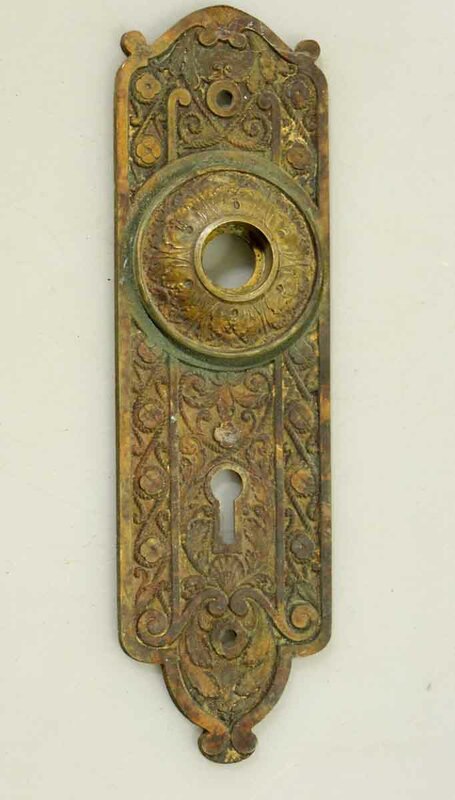 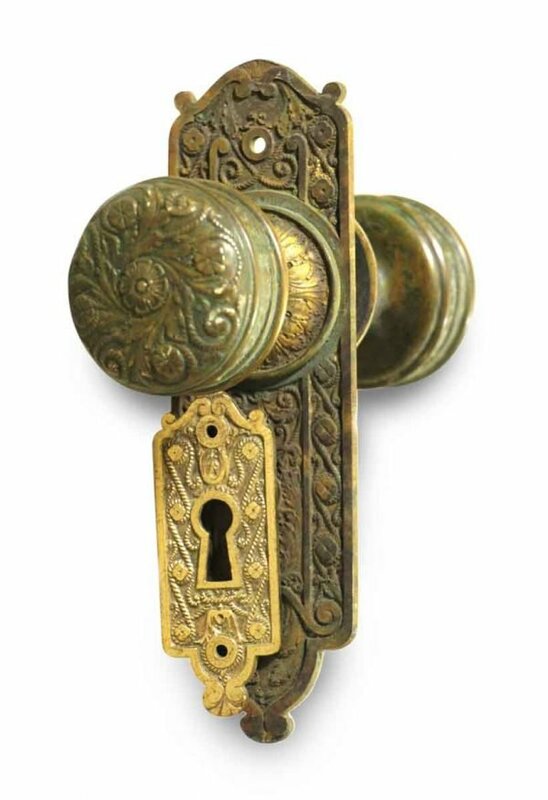 Set includes a pair of doorknobs, a pair of rosettes, one back plate and a key hole cover.